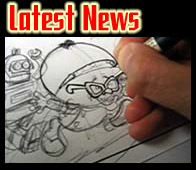 I have been a professional freelance comic artist & writer since 1984. During that time I have worked for many publishers such as IPC, Marvel Comics, Egmont, Panini, and D.C. Thomson, covering the comics field from originated characters to licensed properties. 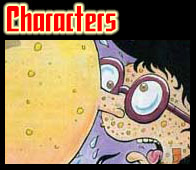 I've produced strips for numerous publications including VIZ; BEANO SUMMER SPECIAL; BUSTER; OINK! ; FUN-SIZE DANDY; FUN-SIZE BEANO; SONIC THE COMIC; WHITE DWARF; GHOSTBUSTERS; TRANSFORMERS, and national newspapers DAILY STAR and SUNDAY SPORT. I've also written articles on the history of comics for publications such as 2000 AD,THE COMICS JOURNAL, and the BBC website. Over the years, my characters have enjoyed long and popular runs, such as ten years for "Tom Thug" in BUSTER and four years for "Combat Colin" in Marvel's TRANSFORMERS comic. I was also a regular writer on SONIC THE COMIC for seven years. The past two decades have seen major changes to the UK comics market, but I have always adapted to maintain regular work in the industry. 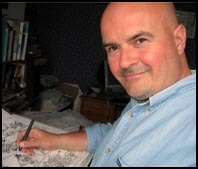 Having worked for publications for all age groups, my work has appeared in such diverse titles as CiTV TELLYTOTS and LEGO ADVENTURES for the nursery market, to VIZ and SWEET FA for the adult reader. In recent years I have expanded my work overseas as well as the UK. 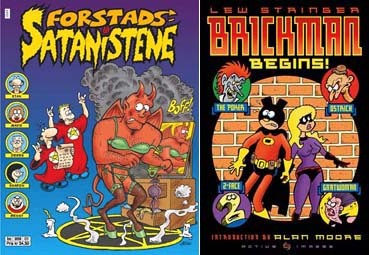 In 2003 I had an album of my work published in Norway: FORSTADSSATANISTENE (Suburban Satanists). 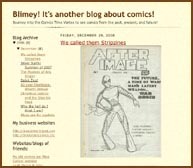 2005 saw the publication of BRICKMAN BEGINS for the Los Angeles based publisher Active Images. Script and art for "Team Toxic" in TOXIC fortnightly magazine. Script, art and colouring on "Brickman" in ELEPHANTMEN for Image Comics. Script and artwork on various strips occasionally for VIZ comic, including Felix and His Amazing Underpants and Suicidal Syd. 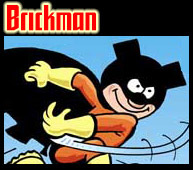 All text on this site, and all images of Brickman, Combat Colin, Suburban Satanists, and convention photographs are Copyright © Lew Stringer 2006 and should not be reproduced without permission. That also applies to lazy gits nicking the text and jpegs to use in their descriptions on eBay. It's copyright theft. Don't do it.